Five years ago today the soul world awoke to the news that the incomparable Teena Marie had passed away. Her music helped shape funk and soul in the eighties, being one of the most loved artists of the era. We remember the Ivory Queen of Soul in our latest ‘Soul Revisited’. From an early age Mary Christine Brockert took an interest in music, being entered into auditions for music and screen roles when she turned eight years old. She began using the name ‘Tina’ for her professional life, a name that would morph further in later years. She had a bit-part in the television show The Beverly Hillbillies, as well as taking lead roles in her school’s musical productions. After graduating from high school Brockert auditioned for various record companies, eventually winding up at the door of Motown Records in 1976 as part of a band she assembled. Berry Gordy Jr, Motown’s founder, was so impressed with Brockert that he signed her as a solo artist, and she recorded over the next few years sporadically with various producers, including future Four Top Ronnie McNeir (much of this has been recently re-released on the album First Class Love: Rare Tee). It would be, however, a meeting with rising Motown star Rick James that would give her a shot at true stardom. By now she had adopted the stage name ‘Teena Marie’, and James, impressed by her ability, opted to work with her instead of a planned collaboration with Motown queen Diana Ross. Together they created soul-funk magic on her debut release Wild and Peaceful which yielded the hit duet between the two, ‘I’m Just A Sucker For Your Love’. Ironically, despite many critics and historians arguing that Motown had ‘whitened’ the sound of soul in the sixties, Motown’s executives were fearful that a white woman singing soul, effectively like a black woman, would provoke a backlash from the black Americans who would likely buy the record. As a result, neither the album nor the promotion had a photo of Marie on leading many to conclude, rather logically, that Marie was indeed black. Indeed, anyone who bought her next album Lady T would have been rather surprised to see a white woman on the front cover. But the backlash Motown had feared never materialised, and the black community embraced her whole-heartedly and remained dedicated to her until the end. The same year Lady T was released Marie put out her third album Irons In the Fire, the first album that she predominantly wrote, arranged and produced. A year later Marie featured on Rick James’ incredibly successful seminal album Street Songs on the steamy ballad ‘Fire & Desire’. In 1981 Marie continued her string of hot hits and albums, releasing the fabulous album It Must Be Magic which featured the incredible R&B hit ‘Square Biz’, which was one of the pioneering songs of female rap, with Marie dropping her own mid-way through the song. Sadly, whilst her success at Motown grew, her relationship with the label grew strained. By 1982 she was in a legal battle with Motown in an attempt to be released from her contract. Unlike many Motown artists who took the label and Gordy to court, Marie actually won with ‘The Brockert Initiative’ becoming the new legal precedent for recording artists. She was signed to Columbia Records’ subsidiary Epic, and released another string of albums featuring a more eighties style sound. In 1984 she released her biggest selling album Starchild, which saw her reunited with Ronnie McNeir, plus dedicate a song to the recently departed Marvin Gaye. She continued to experiment with sounds, embracing rock for a time, as well as singing on the soundtrack to the film Top Gun. But it was her R&B that got fans excited, with 1988’s hit single ‘Ooo La La La’. Like many artists, Marie found her self being sampled by a new crop of hip-hop artists in the nineties, having her music exposed to a new audience. She also took time off from recording and performing to raise her only child Alia Rose. She resurfaced properly in 2004 with a new album, and a brilliant duet with Gerald Levert. In 2006 she released another album Sapphire that featured her former Motown stable-mate Smokey Robinson on two songs. In 2009 she released Congo Square on the newly revamped Stax Records, earning critical acclaim. She was once again on top of her game, performing across America and in 2010 ventured for the first time to the UK to perform in London. Her performance was so successful she was immediately booked to return the following year, and we even had tickets to see her. Sadly, that return trip was not meant to be. On December 26th 2010 Marie’s daughter Alia Rose found her dead at their home in Pasadena, California. Her death was ruled the result of natural circumstances, but it is likely that the effects of a 2004 head accident played its part. The soul and funk world were quick to show their admiration for Marie, praising her talent and her legacy as a trailblazer. In honour of this incredible woman we have picked out some of our favourites for your listening enjoyment. The song that started it all: a fabulous punk-funk groove set down by the King of Funk & Roll Rick James, sung stunningly by Marie. The Stone City Band were on hand to provide the funk as only they could, and although it does sound like a Rick James record rather than a Teena Marie record, James did Marie a huge favour in producing and performing with her, introducing her to his growing audience. The song also highlights the fiery relationship between the two; they were at one-point lovers, breaking up before the release of the epic ‘Fire & Desire’. But for a debut single, this is pretty stellar. With ‘Behind The Groove’ Marie was beginning to find her own brand of funk, emerging from the wings of Rick James. This is truly a fan favourite, but for us the ‘Missing M&M Mix’ from DJ master John Morales is the best version you can listen too. Extended to a whole ten minutes, featuring classic M&M percussion and vocal drops, it’s simply a pleasure to listen to. Taken from the fine Irons In The Fire album, the album that Marie herself stated was her favourite, ‘I Need Your Lovin’’ is seven minutes of pure delight. Written and produced by Marie herself, the song peaked at number two on the US dance charts in 1980, and reached an impressive number 38 in the UK Singles Chart. Included below is, yes you’ve guessed it, another John Morales remix, this time from his excellent John Morales Presents Club Motown compilation released last year. We promise you’ll like it. 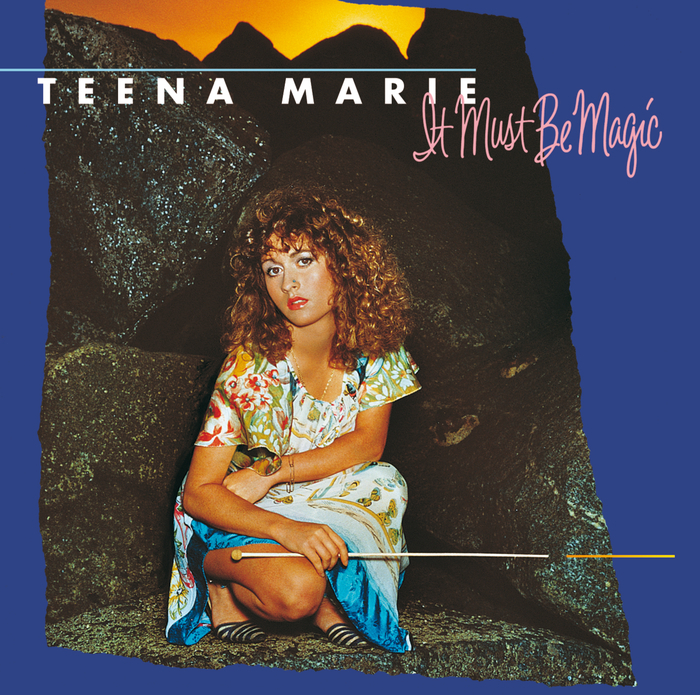 Released a year after ‘I Need Your Lovin’’, ‘Square Biz’ was the lead single from her album It Must Be Magic. It would her last hurrah at Motown Records before entering into a lawsuit against her corporate overlords, but what an album and what a single to leave on. The rap delivered by Marie today might seem a little naïve and perhaps a little silly, but it was a pioneering moment for female rap artists, proving that it could be done, and done well. Also taken from the It Must Be Magic album, this is surely one of Marie’s lesser-known recordings. It’s clearly meant to be an album cut, but its actually a pretty nice ballad. It sees her sing of the rain in Manchester, England wishing for the warmer and kinder climate of California. To be fair, Manchester is a bit rainy to say the least. Although Marie sang ballads, particularly in her later career, it’s her up-tempo stompers that she is really known for, but it’s nice hear her sing this. Taken from her sixth studio album Starchild, Marie, like so many others, paid tribute to the late Marvin Gaye who had been shot dead by his father earlier in 1984. The song was co-written by Marie, along with Penny Johnson and former Gaye-collaborator Leon Ware, who had worked with the singer on his raunchy I Want You. It’s a decent song, and a heart-felt tribute to the Prince of Motown. Also taken from the album Starchild, ‘Lovergirl’ was Marie’s last real big smash hit. It saw her combine her soulful pipes with a rockier, eighties sound. That said, the melody is irresistible and the lyric is rather catchy. The song peaked at #4 on the Billboard Hot 100 chart, but sadly only managed #76 on UK Singles Chart. We apologise on behalf of the rest of the UK. Although Marie had continued to record and release through the nineties, it was sporadic at best. She had taken time out to raise her daughter, but in 2004 she made a quasi-comeback with her eleventh studio album La Dona. It featured a whole host of artists, including her former mentor Rick James (his last recording before his death), Common, MC Lyte, and Levert-singer Gerald Levert. It was with Levert that she dueted with on the sultry ‘A Rose By Any Other Name’, and it turned out to be a brilliant collaboration between the two. Smokey Robinson is, as we all know, a living legend. His talent as a singer is unrivalled, as is his talent as a writer and producer. When Marie joined Motown Robinson was another one of her mentors, as well as being a massive idol and influence on her musical taste. In 2006 Robinson featured on two songs on her Sapphire album, with this one being the best. Two years after her death it was announced that a new album of unreleased Teena Marie material was due to be released in January 2013. The album consisted of recordings that Marie was reading to prepare, but with her death her daughter Alia Rose completed the album, as well as appearing on a cover of the Curtis Mayfield standard ‘Give Me Your Love’. This is the album’s lead single, and it’s a brilliant and fitting end to the career of Lady T.